iwmt's naturegraphy from Japan. : An evening landscape. My name is TAKASHI IWAM0T0(Male). I live in Japan. The original landscape fotographs which I took is exhibited here. I appreciate your visit. I am amateur fotographer. fotograph is mainly taken by Canon Digital SLR and Pentax 645 film SLR. I am very poor at carrying out conversation using languages other than Japanese... but, if you have felt, please leave a comment by all means. 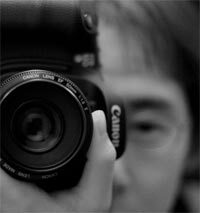 This is a Flickr badge showing public photos from TAKASHI IWAMOTO. Make your own badge here. This photograph won the highest award by the photo contest on a camera magazine. It deserved to win. It is an amazing photograph. I adore your talent. I thank for the comment that you gave. I thank for your comment. And please do its best.